Iran has suspended flights for pilgrims to Muslim holy places in Saudi Arabia in protest over the alleged sexual assault of two Iranian boys by Saudi security officials, Iranian Culture Minister Ali Jannati said on Monday. “Until these guilty people are put on trial and punished, the Umrah will be stopped and Iranian flights will be suspended,” the Iranian Students News Agency (ISNA) quoted Jannati as saying. Some 500,000 Iranian undertake the Umra each year. 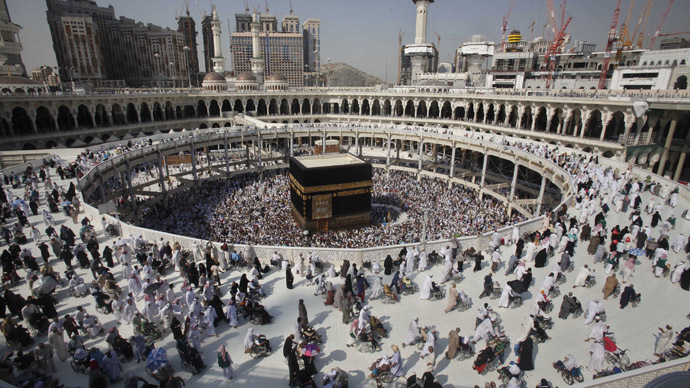 The Umra can be undertaken at anytime throughout the year, other than during the main pilgrimage, or Hajj. The current ban excludes the Hajj, which is compulsory for able bodied Muslims at least once in their lifetime, if they can afford it. Jannati said that Saudi authorities have pledged to punish those responsible. Relations between the regional rivals – the majority Shiite Iran and Sunni-led Saudi Arabia – continue to deteriorate as the conflict in Yemen rages on. A coalition led by Saudi Arabia has been launching airstrikes against positions held by the Houthi rebels since the end of March. Iran has denounced Saudi Arabian involvement in the conflict.